Countries taking part in the Eastern Partnership summit in Riga will support reverse gas supplies to Ukraine from Poland, Hungary and Slovakia, according to a draft declaration obtained by TASS. “The summit welcomed the opportunities open for reverse gas supplies to Ukraine via Poland, Hungary and Slovakia,” says the document quoted in the report. The participants have also reportedly “supported the establishment of the connective infrastructure for delivering gas and electricity both within the EU and between the EU and the countries of the Eastern Partnership,” the statement said. The fourth summit of the Eastern Partnership opened in the Latvian capital on Thursday. Its goal is to strengthen cooperation between the EU and the post-Soviet European and Transcaucasian republics. Russia’s permanent representative to the EU, Vladimir Chizhov, earlier said that work on the final declaration was rather tense, as some countries want to strengthen anti-Russian attitudes and others want to prevent this. Ukraine, Moldova and Georgia, which are taking part in the forum, signed an association agreement with the EU in 2014. Kiev now wants “concrete assurances” and a roadmap for EU membership, Foreign Minister Pavlo Klimkin told the German daily Die Welt. This wish, however, is something that Brussels has been hesitant to promise. 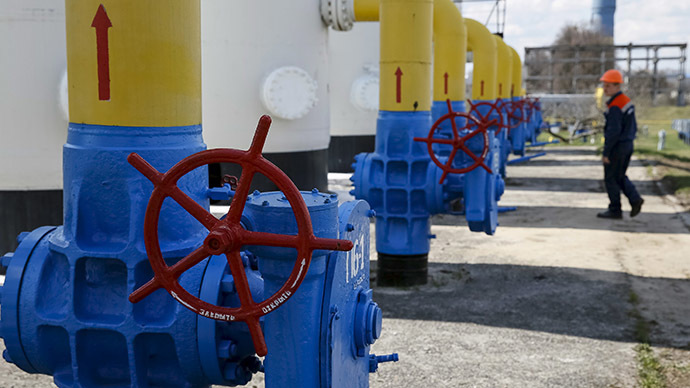 The Kiev government believes that reverse gas flows from EU countries, which have already imported that gas via Ukraine from Russia’s Gazprom, will make Ukraine less dependent on Russian supplies. However, Gazprom disputes the legality of such manipulations. On May 5, Gazprom CEO Alexey Miller said that reverse gas supplies to Ukraine halved in May after Hungary stopped deliveries, a move followed by Poland. Earlier, Russian energy minister Alexander Novak said that Russia may bring legal claims to court in connection with reverse gas supply to Ukraine from Europe, if it turns out the gas was never really exported and re-imported, except on paper. This is currently being investigated by Russian lawmakers.